Pay for 2 people and a 3rd traveler can participate for free! Two of Jodhpur's most historical landmarks await you in this half day tour. From your hotel in Jodhpur, you and your English speaking guide will first head to the incredible Mehrangarh Fort complex. 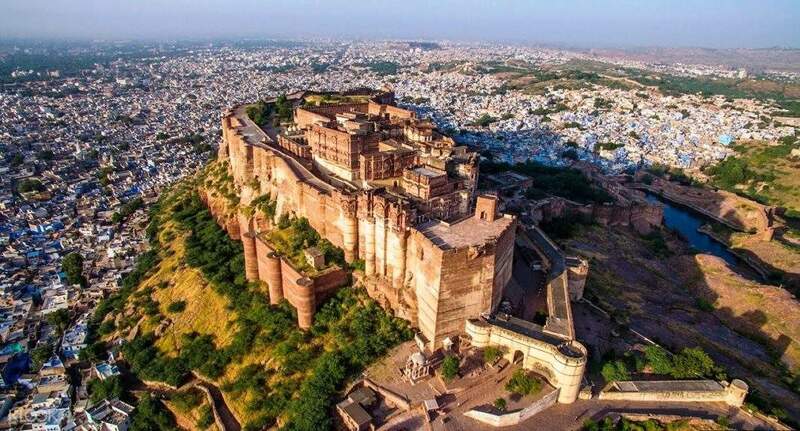 Located on an elevated hilltop right above the city, this imposing structure overlooks the splendid city of Jodhpur, and has done so since 1450 when it was first built by the historical figure Rao Jodha. You will view the intricate sculptures and carvings throughout its walls as well as walk through its immense, far-reaching courtyards. In its museum, you will learn about the vital moments in history that have taken place in and around its walls. From here, you will then proceed to Jaswant Thada, another ornate piece of architecture in Jodhpur. This beautiful building, with its intricate design, carvings and more, stands shining in the sunlight. This cenotaph, or empty tomb, is dedicated to the father of Maharaja Sardar Singh, Maharajah Jaswant Singh, for whom the structure is named. Following your tour in this beautiful site, you will be able to take a break in the city for some of the famous Tapri Tea and enjoy local snacks. Your tour ends with a drop off safely back at your hotel.